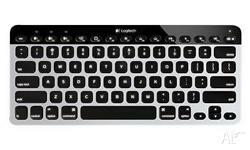 If you are looking for a keyboard that is compatible with your PC, tablet, and smartphone then the Logitech K810 Bluetooth Illuminated Keyboard is the perfect solution. 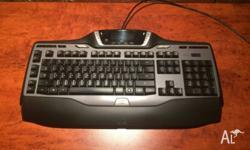 The Logitech Keyboard also offers an auto-illumination system and a stylish finish. 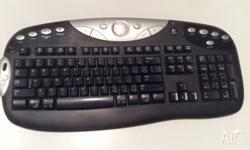 Whether you’re typing in daylight or in a darkened room at night, you will be able to see the keys of the Logitech Keyboard perfectly with the auto-adjusting illumination that dims or brightens depending on the amount of light in the room. 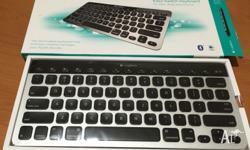 Switch from your desktop, tablet or phone with the Logitech Bluetooth Keyboard easily by simply pressing a button. Connecting through Bluetooth, and using Logitech Easy-Switch, it makes changing your source device far simpler. 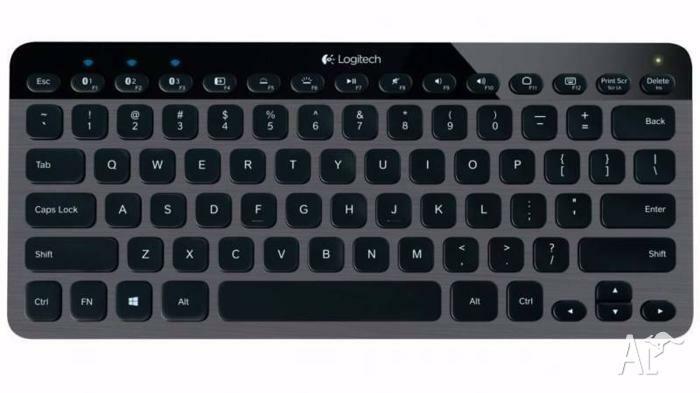 Not only does the Logitech keyboard help you type for all of your devices easily, but it also looks good and will provide an attractive, modern complement to your device with a brushed aluminium finish and ultra-thin design. 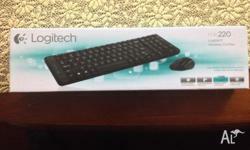 Logitech ultra flat dark shine keyboard with USB cable connection. New and never used. 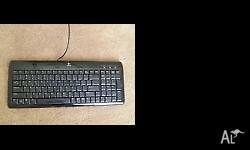 Logitech Keyboard Cordless MX Duo Y-RJ20 without mouse or wireless base station.